I should have put this up on Easter. I figure better a little late than never. When I was a child, I wasn’t allowed to use the Lord’s name in vain. If I said, “My God” in any way that was not in reverence, I should expect a spanking, and a tough one at that. To this day, I do not take God’s name in vain. I still cringe when I hear others do it. I know it’s nearly common language today. But not in my house even with all the doubts I have. I think people forget that one of the 10 Commandments was, “You shall not take the name of the Lord God in vain.” Part of the reason is my upbringing. Now, it’s out of reverence. This video says why. The music rocks so turn up the volume. Follow Lee on Twitter and Facebook. 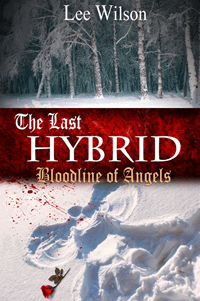 Lee's best-selling paranormal romance, The Last Hybrid: Bloodline of Angels. Click here to see the trailer!